Fudge reminds me about a few things: Judy Bloom, my grandmother, and Valentine’s Day. But not necessarily in that order. Fudge is a delicious old school confection, one that sometimes gets overlooked if you ask me. But all fudge is not created equal. 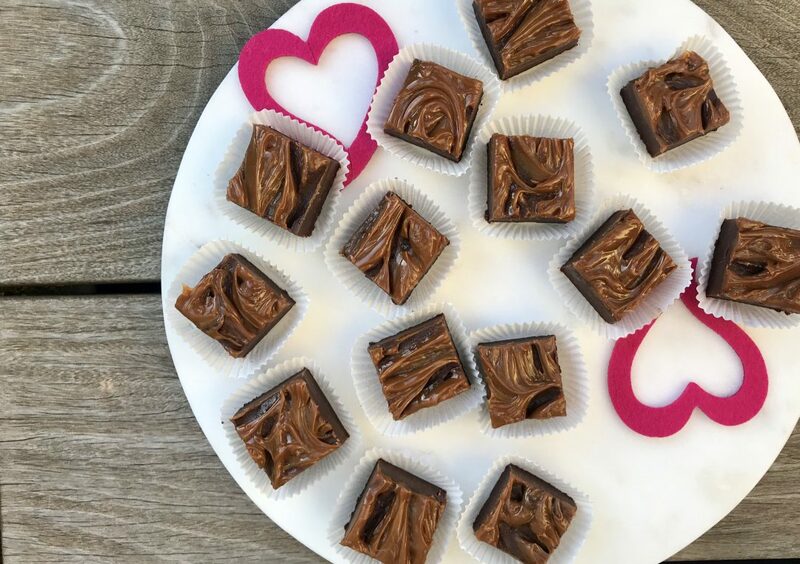 Fudge is a true decadent treat and a perfect match for Valentine’s Day. A little bit of this chocolatey goodness goes a long way. But to indulge in this confection, it needs to be great, at least in my eyes. I think this recipe is great. No one seems to know for sure who actually first created fudge. 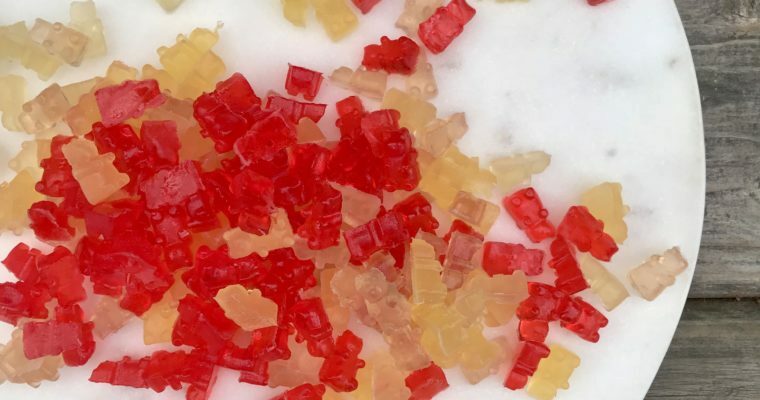 But many believe that it is an American creation, caused by a botched–or fudged–recipe for caramel. Culinary discoveries often happen unexpectedly, in-fact, that’s how brownies were discovered. Whatever the back story on fudge, it’s a real treat and one that often pops up during holidays. 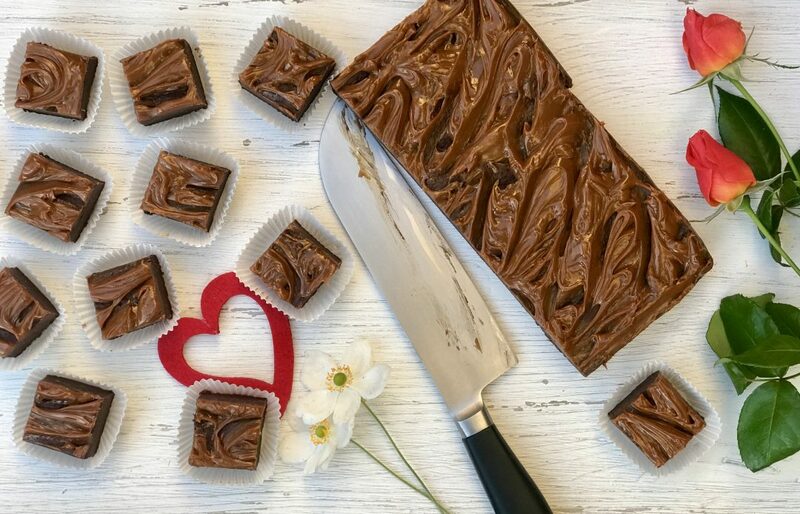 Traditional fudge is rather tricky to make. My recipe is not. In my recipe, I use sweetened condensed milk as my secret ingredient. This allows for a perfect, creamy consistency. 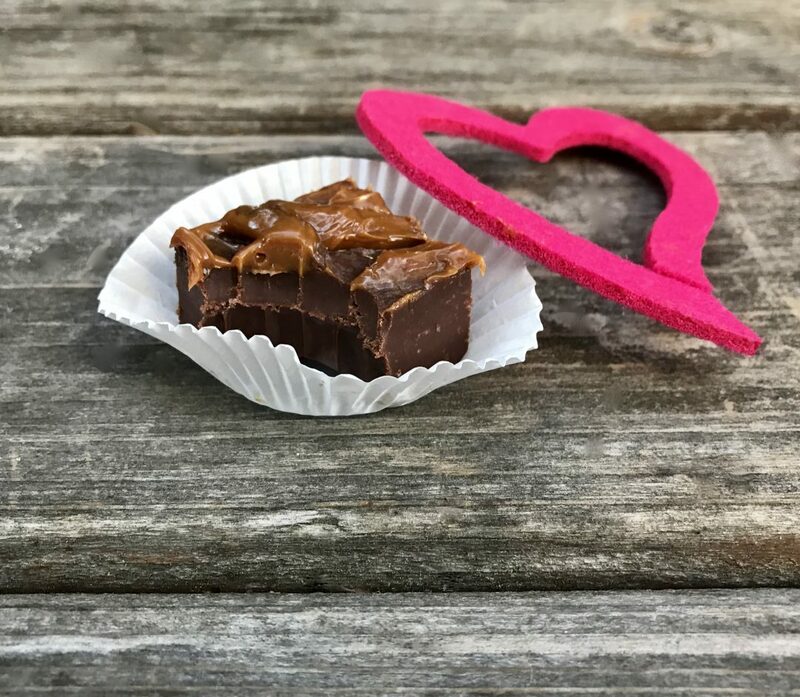 There are countless variations to fudge, but I don’t stray far from classic in terms of flavors. 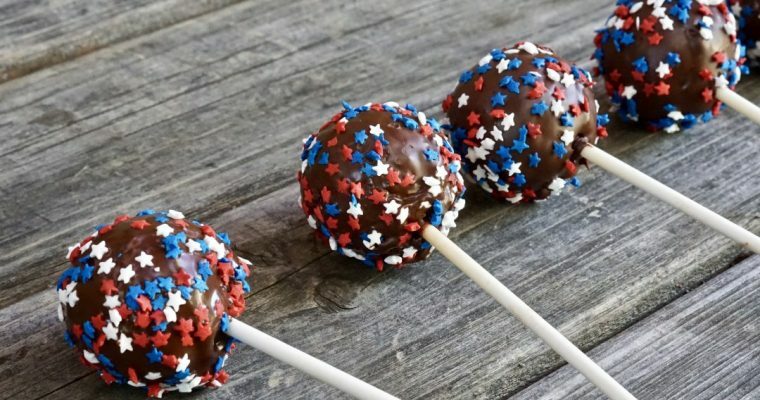 I simply add a swirl of dulce de leche on top, adding even more richness to this American treat. Step 1 Line an 8×8 baking square with parchment paper leaving overhang on both sides. Note: the easiest way to do this is to cut two strips of parchment paper and lay one across the other. Lightly spray with cooking spray and set aside. Step 2 Fill the bottom of a double boiler or medium saucepan halfway with water, place over high heat and bring to a boil. Step 3 Place the chopped chocolate, condensed milk, butter, and vanilla extract in the top of the double boiler or alternatively in a small saucepan and place on top of the hot water. Reduce the heat to low. Stir occasionally until all the chocolate has melted and the mixture is smooth. Remove form the heat and pour into the prepared pan. Using a rubber spatula, gently even out the chocolate mixture. Set aside. 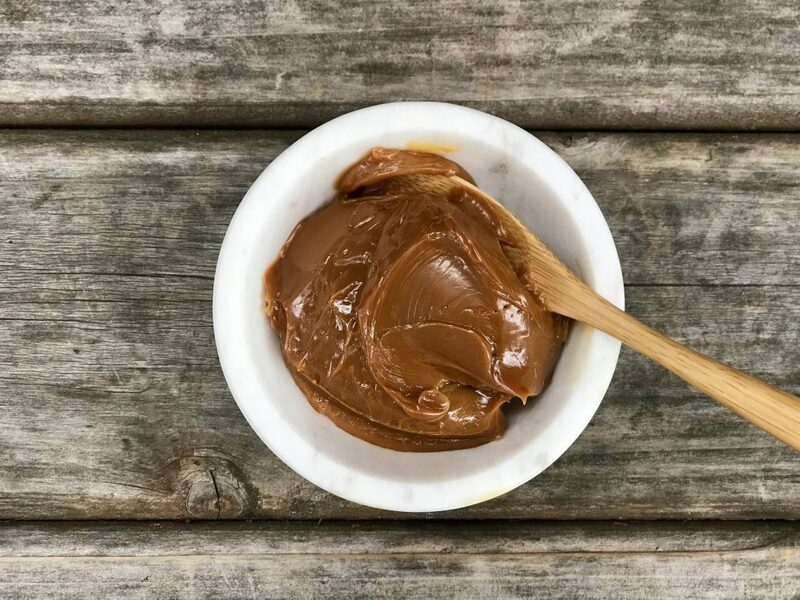 Step 4 Gently warm the dulce de leche in the microwave for about 15-20 seconds until spreadable. Carefully pour the dulce de leche over the chocolate mixture. 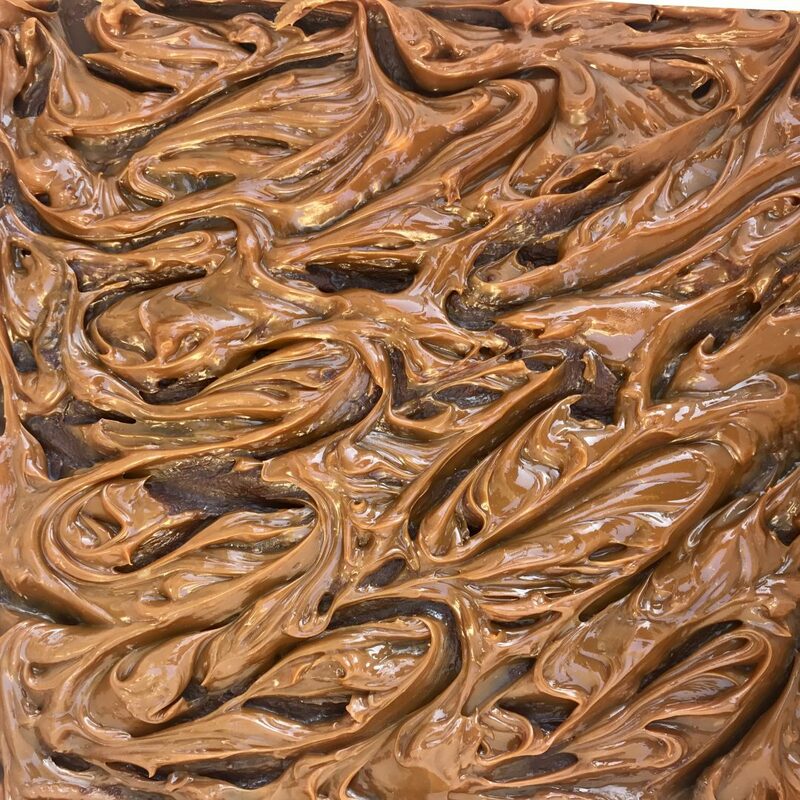 Using a tablespoon, make large swirls in the dulce de leche mixture so the bottom fudge layer is also visible. Step 5 Place in the refrigerator and chill for at least 2 hours to set. Step 6 Slice into small pieces to serve. Store in an airtight container in the refrigerator. Can be kept for 1 week.